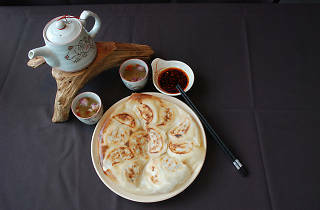 This perpetually packed spot presents traditional Szechuan-style Chinese fare in a stylish atmosphere. 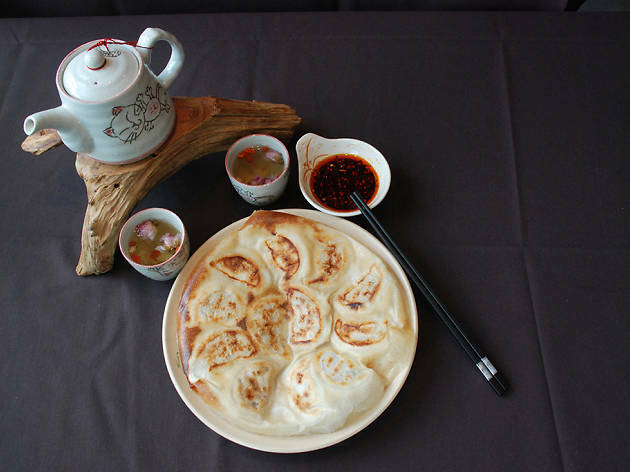 The menu lists only one type of dumplings—pork—but they’re a dream, thin pockets of dough pinched around juicy, well-seasoned organic ground meat. Wash them down with a cold beer of your choosing—the restaurant is BYOB. Experience our culture through our natural ingredients and robust flavors. Food is our passion and our culture because it brings friends and families together and allows them to experience our culture through our food. We specialize in Country-style Organic Chinese and gluten friendly cuisine. We serve only the best: Angus certified beef, Berkshire pork, and Farm Raised Chicken, Duck, Organic egg, etc. Although we are not experts on flavoring our food, we rely on using the combination of natural flavors that makes us unique based on traditions of Chinese culture. Check out our reviews on Yelp! River Oaks location: https://www.yelp.com/biz/pepper-twins-houston Montrose location: https://www.yelp.com/biz/pepper-twins-houston-4 Our other location is at 315 Fairview St in Montrose. Hours are the same and the number is (832) 649-7175.